The Accidental Greek. 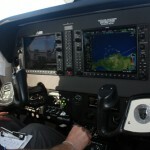 My New Blogging Adventure. Well leave it to me to create not only one but two blogs to try to keep up with and work a full-time job as a Marketing Director! But what I have learned in almost three years of writing Allison Cafe is that focused blogs not only perform better, they are easier to plan content for as well. But picking a topic to blog about should also be something that you are passionate and know something about. So I thought about it. What do I know well? Well I’ll tell you what I don’t know well enough yet. Everything Greek. You see, I am not Greek by birth but I am now by marriage. 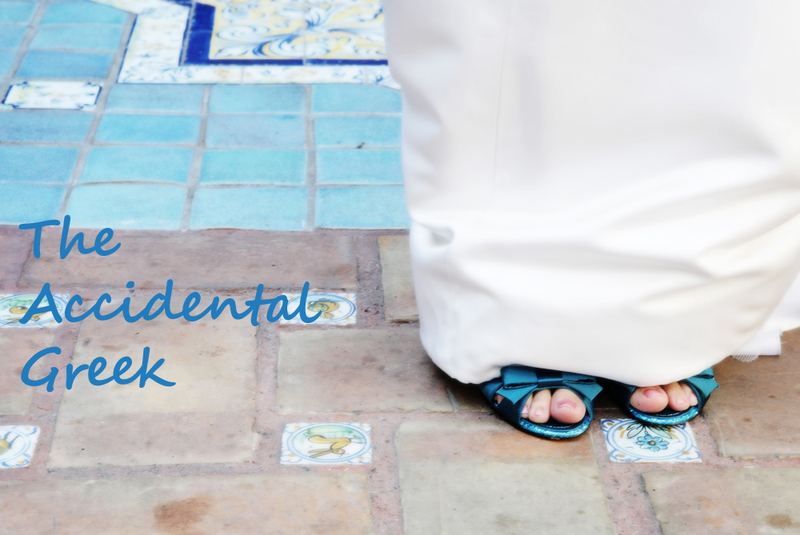 (Hence the name The Accidental Greek) And there is so much richness in the culture and so much to learn as a new Greek housewife that I thought what better way to learn and share that knowledge. 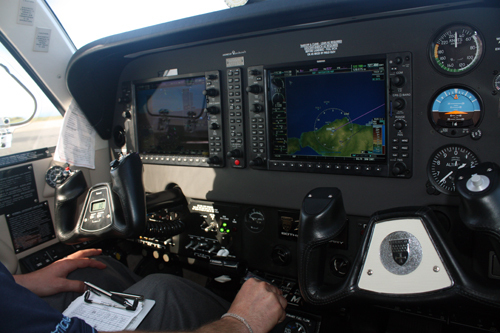 So here we go, join my on my new blogging adventure when you get a moment. See you soon. And efharisto poli! 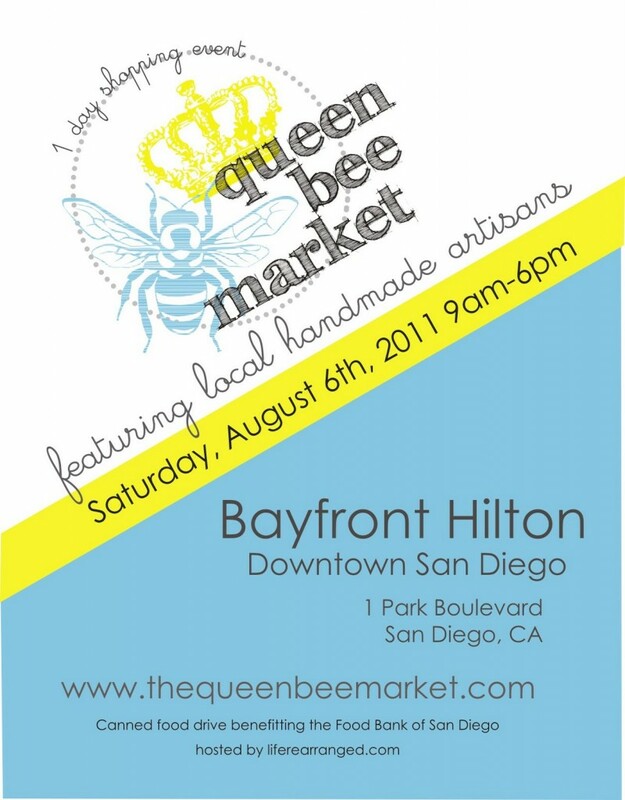 Just a one day to go until the Queen Bee Market August 6th, 2011 at the San Diego Bayfront Hilton. I’ll be there representing the Domestic Nest. Stop by to check out the one of kind handmade goodies! 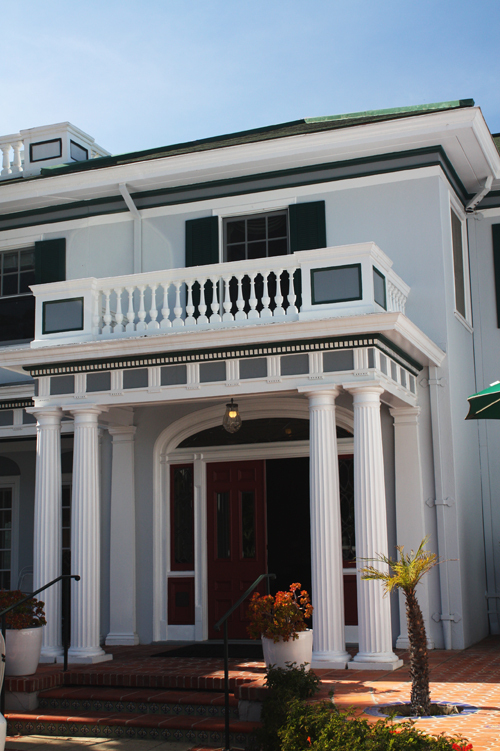 Attending BlogHer ’11? 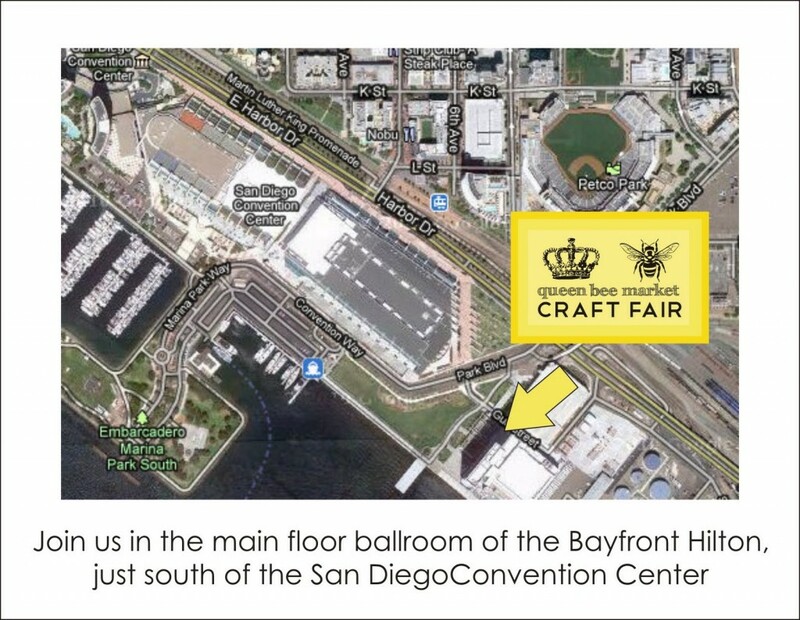 Enjoy the short walk from the San Diego convention center to the Bayfront Hilton for the Queen Bee Market! Wishing Moms Much Love. And a Chance to Win Free Calls to Mom for a Year! I would like to send a very special Happy Mother’s Day message to all the mothers out there. For all that you do, and for all that you give, thank you. And for those whose Mom is gone, we hope it is a time to reflect and say, “I love you and I miss you Mom, today and every day. 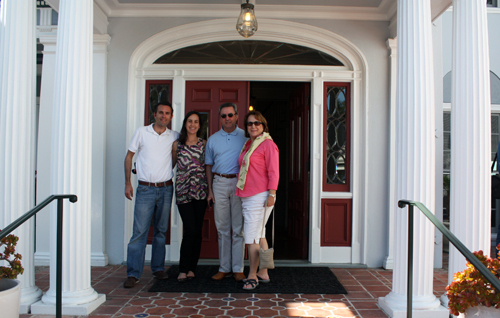 And a special “I love you” to my Mom, my mother in law, my grandmas and my godmother – I love you! To enter, all you have to do is sign-up for a free VoxOx account via the Mother’s Day Promo link from May 5th to the 8th. Hit the “I <3 mom” button below for your chance to win! Lucky me, a Liebster nominee! Special thanks to the talented nesters over at Domestic Nest for giving me a Liebster nomination. How exciting! I accept! 1. If you are tagged, and you want to accept, then create a post on your blog and add the Liebster Award pic shown above. 2. Link back to the person and say you accept. 3. Choose 3-5 of your favorite blogs to tag, link them in your post as well and tell the lucky ducks they have been chosen. The aim of this award is to bring unknown good blogs to light, (less then 50 followers is ideal), therefore, please don’t tag someone with 3000 followers! 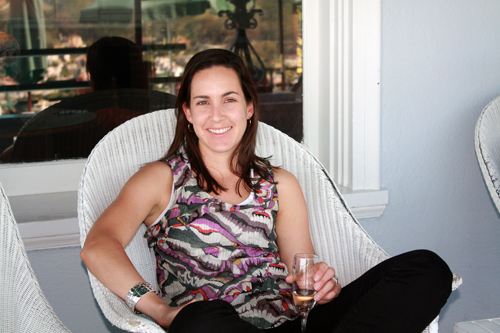 Just Writing – the official blog of Megan Just, a talented writer and insightful book critic. Check out her latest adventures and good reads. You just might learn something new about the love of reading and writing! Heather Ivy Designs – Heather is not only one of my favorite people, she just so happens to be a talented designer, entrepreneur and super-mom. She just launched her blog recently and within it you can find all kinds of visual and crafty inspiration. And even a link to her Etsy shop where you can buy here one of a kind designs! 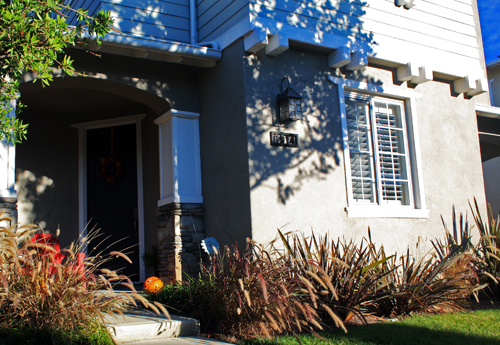 The Rustic Rooster – the official blog for an adorable furniture shop in Encinitas, CA. The talented design team at Rustic Rooster Interiors shares their latest finds and showcases the before and after transformation of their shabby chic pieces. 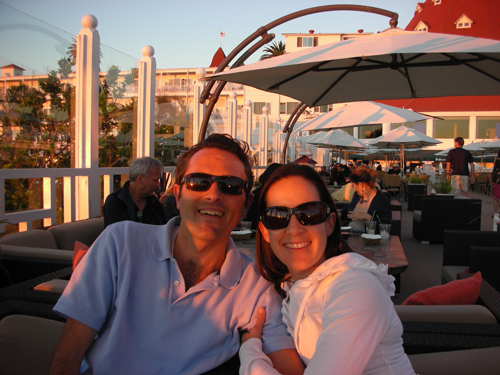 They also share little tidbits about life in North County San Diego. Get ready to get inspired! This Week for Dinner– the visually delectable blog of Jane Maynard, a talented designer and food blogger. Jane’s weekly digest of what’s for dinner not only presents a weekly list of menu ideas, it gives you tasty photographer that will leave you wishing Jane were cooking in your kitchen each week! 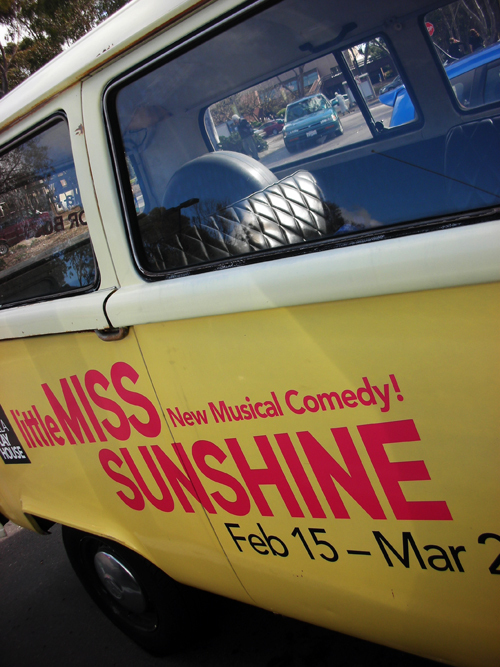 We went to see the new musical, Little Miss Sunshine, for its opening weekend on February 19th. I could not have asked for a better birthday gift. Performing at the La Jolla Playhouse through the end of March, the musical is an inspiration of music and lyrics, set design, amazing performances and even a few unexpected surprises. Having seen the movie a long time ago, I had forgotten just how many different life messages are in the story line. The musical does a fantastic job of reminding you of those messages. Like “Refuse to Lose”, the father’s overly optimistic business tagline. Or little Olive’s story of determination, and the self-confidence journey of a little girl and a teenage boy as they mature. But most of all the reminder that through it all, family is what is most important. 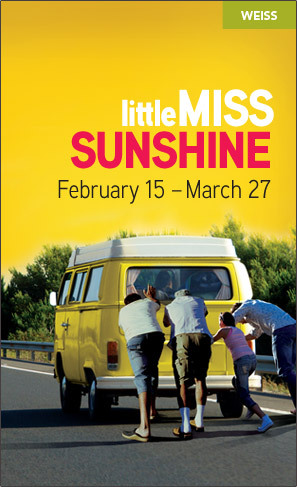 Through their crazy road trip to California for the Little Miss Sunshine beauty pageant, they embark on a journey together that touches on their individual and joint struggles and triumphs. Incidentally, the little girl that played Olive did a phenomenal job. I’m no play critic but she got my 2 enthusiastic thumbs up! Also worth noting was the set design. It was truly impressively simple, yet imaginative. I was really curious how they were going to portray a road trip. And don’t worry the bus is a big part of it. 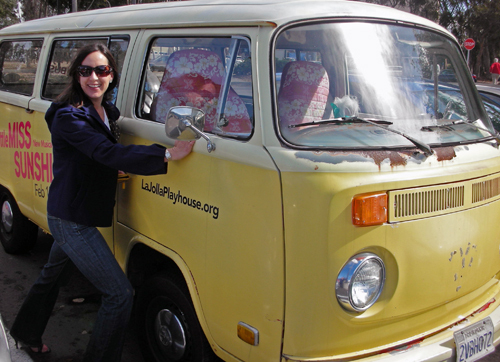 I loved that the Volkswagen bus was almost a character in the movie and the musical. If you have a chance to catch this musical before it leaves town, I highly recommend it. The La Jolla Playhouse is a fantastic location, the venue is small enough that just about any seat in the house is a great seat. We were in the very last row, and it was great view. Who knows you just might leave there more inspired by their journey than before you got there. Or at least having laughed uncontrollably as Olive sings “shake my ba-donka-donk baby“! There is a famous story in my family that when I was a little girl I told my Mom that I couldn’t help her in the garden because “I don’t do dirt work.” Well look at me now Mom! 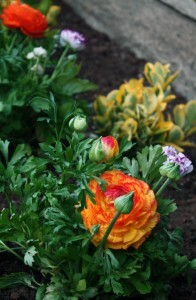 I not only tore apart our whole flower bed, I even planted flowers today. 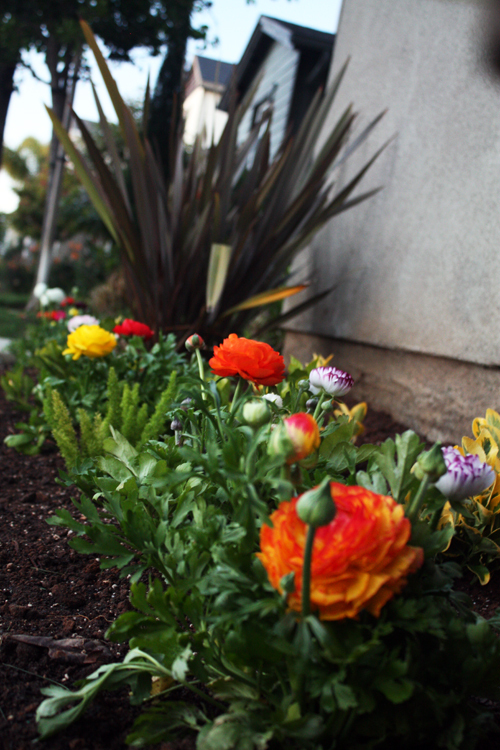 Today was a perfect 60 degree SoCal day for planting some spring flowers. Yes it is February and the rest of the country is still in a deep freeze. But that’s why I live here! 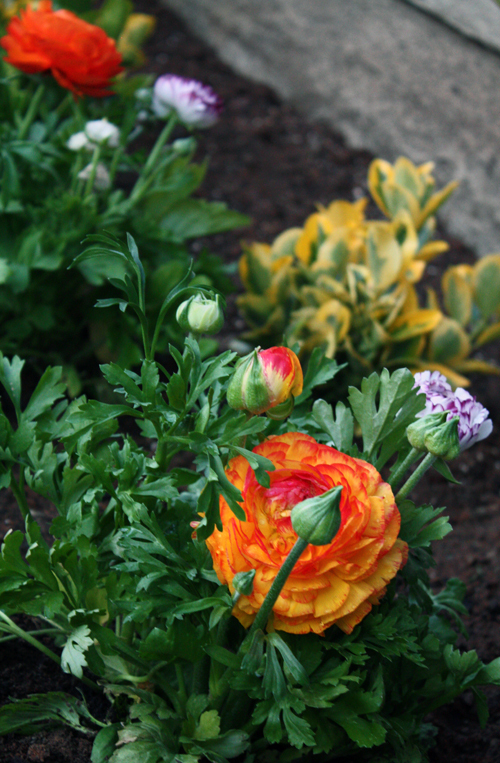 We moved into our new home last April and life has been too busy for any work in the front flower bed. Until today! 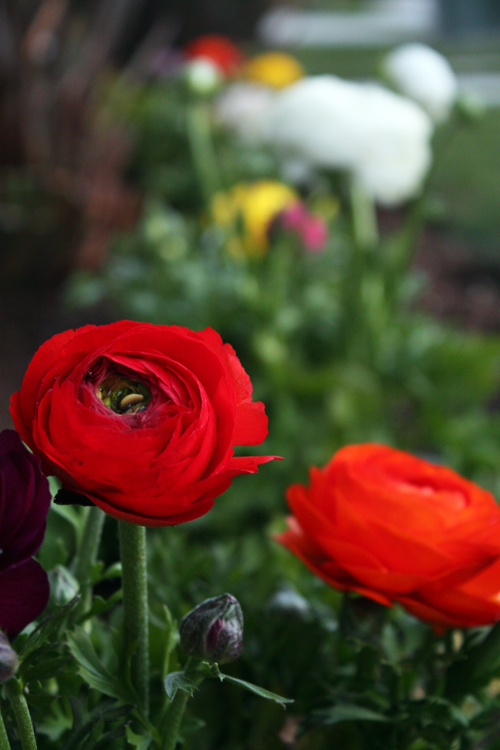 One of my favorite flowers is a ranunculus. And they are in season from now until May. I was so excited to plant them on our front yard, but when we moved to Carlsbad last April it was the end of the season for this flower. So you can imagine my excitement when I saw them for $2.90 a gallon container at Evergreen nursery in Vista! We loaded up the trunk with at least 8 containers! Our front flower bed was a boring sight to see. It just had some flax plants and beach grass of some sort. Which is very low maintenance, but not very colorful. We spent some time last weekend ripping out the old plants and putting down some compost just in time for a week of SoCal rain! So the ground was nice and soft today for planting. I also had to add some amendment to the soil, nothing like clay to stunt flowers without some help! I’m not done yet though. 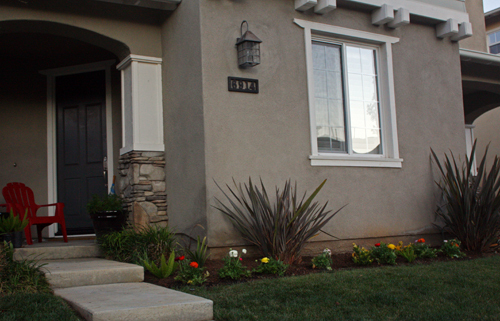 Stay tuned for the next wave of planting, a rock border and some mulch for the complete transformation! I guess I do dirt work now! Bikes, Trains and Ferries. From Carlsbad to Coronado. When it came time to treat ourselves to new bikes, we fell in love with Felt’s cafe cruisers. 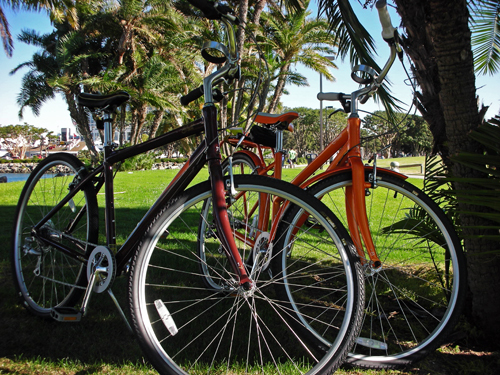 We found a great deal on new bikes at Holland Bicycles in Coronado, CA. It was love at first sight when I first saw these bikes years ago in a bike shop in La Jolla. A perfect mix of beach cruiser and street bike. What’s not to love about a bike with a coffee cup holder? Bikes ride free on the Coaster! 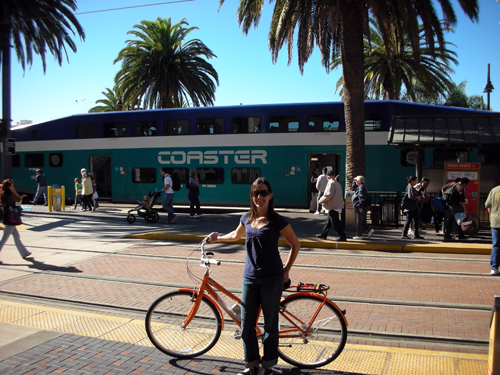 So with our new bikes in tow, we jumped on the San Diego Coaster and took a scenic ride on the double decker train from North County to downtown San Diego’s Sante Fe Depot train station. We took our bikes for a biking tour of the Museum of Contemporary Art San Diego’s exhibit of Viva La Revolucion: A Dialogue with the Urban Landscape. Various buildings and locations around downtown had been used to display graffiti art, it was walking or driving tour of various art exhibits and it was a fun addition to our biking adventure. The show had a cool interactive element in that you could call the exhibit’s phone number and enter a specific code for each artist and listen to a recording describing that artist’s work. A cool use of art and telecom! Hungry for more adventure we hopped on the ferry from the end of the Broadway pier to Coronado. 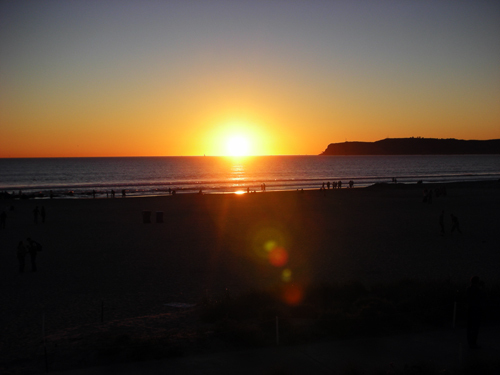 It was quick ride and once we arrived it was a short bike ride to downtown Coronado and the Hotel Del, where we relaxed and watched the sunset. 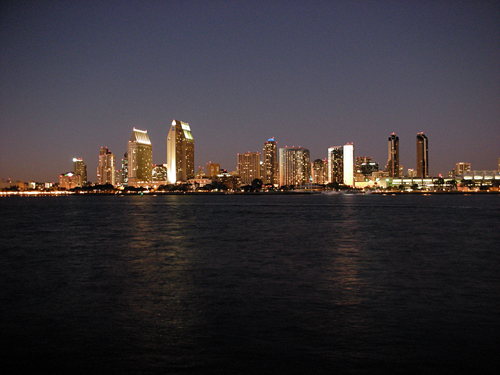 As we rode the ferry back to downtown San Diego to catch the train home to North County, we took in an amazing view of the San Diego nighttime skyline. One of the fun things about living in San Diego is taking what would otherwise be an ordinary day and making it extra special by just enjoying the simple joys of living in southern California. 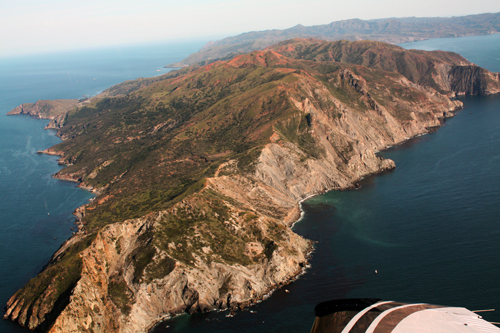 Have any good SoCal bike adventures or must-do trails? Do share!!! Whether you just need a bowl of warm soup on a cold day, or the healing powers of chicken soup to fight that cold, nothing beats homemade. Sure it’s faster to open a can of soup but I challenge you to find any canned soup that can beat the taste of soup from scratch. And the best part is that soup can be the easiest menu item to make. Here are some tips to help your soup making. One of the keys to good soup flavor is starting with its foundation, stock or broth. Now, I must be honest and admit that I often cheat and buy canned, low sodium chicken stock. But I also have to tell you that making your own stock is super easy and you can freeze it for future use. Whenever we make a whole chicken, we simply place the carcass into a large pot, cover the chicken with water and add celery, carrots, onions and perhaps a few herbs. Let it simmer for an hour or so and then strain and store in an air-tight container. It’s that easy. And I promise its just as easy for beef or fish stock too. The flavors from your own stock will make a big difference when used as your base of a soup. Especially any seafood stew. Plan ahead when soaking beans. The easiest soup recipes to make are the ones that either don’t call for soaking beans or you can substitute canned beans. I say easiest because you don’t have that extra time component for soaking beans. But that being said, bean soups are some of my favorite soups of all time. White bean soup with bacon reminds me of my Grandmother’s house. And that makes the planning worth it. Just be sure to budget in the time to soak beans overnight. Or sacrifice a little flavor and cheat and buy the canned kind, problem solved! Don’t throw away the seeds! 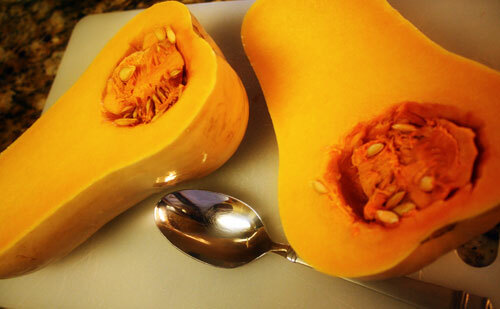 Another fun little soup trick I learned when making soups with winter squash is to save the seeds and use them as a tasty garnish. 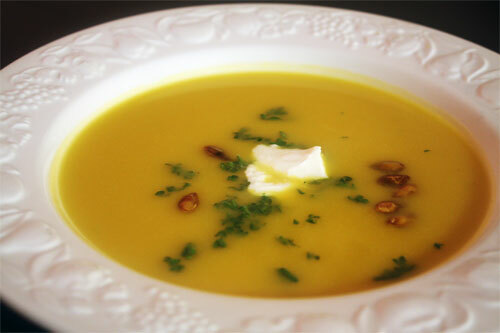 I like to top our butternut squash soup with toasted seeds just like you would add oyster crackers to chowder. They make all the difference in the world. Plus they give a toasty flavor and contrast the sweetness of a pumpkin or butternut squash soup. Just rinse them in cold water and dry them on a paper towel after scooping them out of the squash. Then toss them in a little olive oil and sea salt and roast them in the oven at 350 degrees F for about 10-15 minutes or until just golden brown. Sprinkle them on your bowl of soup or enjoy them later as a healthy snack! Plan ahead and make weeknight soup even easier! Soup is one of the easiest recipes because you mostly just throw everything into one pot and let it simmer. It really is that simple. That’s not to say that there are not more complicated recipes out there, or that even the most simple soups don’t require adding things in a sequence. But it really is a simple recipe. The problem is that for some soups, especially those with a lot of veggies is that you spend so much time chopping and prepping. The actual cooking part is easier than the prep work. To save on time or to be able to make a quick weeknight soup, I suggest chopping things like butternut squash, carrots, celery, onions, bell peppers etc ahead of time and freezing them in air tight containers in pre-measured quantities, i.e. a cup of chopped onion. That way you just have to thaw what you need that day, not a whole large chunk of frozen onions. And keep your pantry stocked with a couple of cans of chicken stock, dried herbs like thyme, basil and oregano and salt and pepper. I’m not a huge fan of buying the already chopped veggies though for two reasons. One: you pay more for them. Two: they don’t taste the same as fresh veggies you chop yourself. But that being said, they are a double time saver. The bottom line: save yourself time by chopping ahead of time. 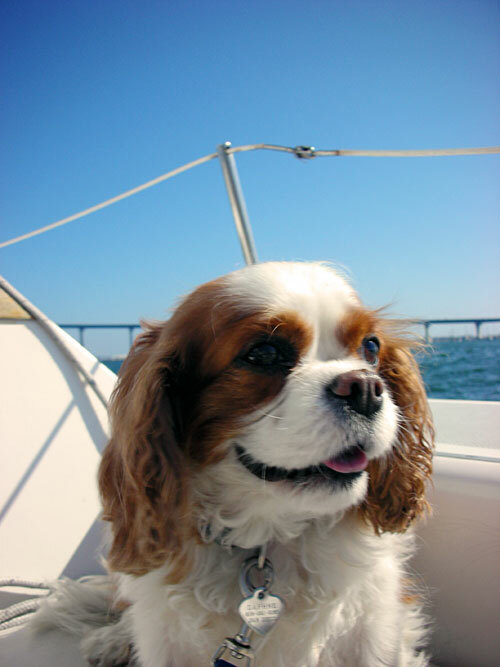 This weekend we took Daphne sailing for the first time. She as a little apprehensive at first, actually she did a full-on mule maneuver at the dock. I didn’t think she was going to make it. But with a little coaxing (food never hurts!) 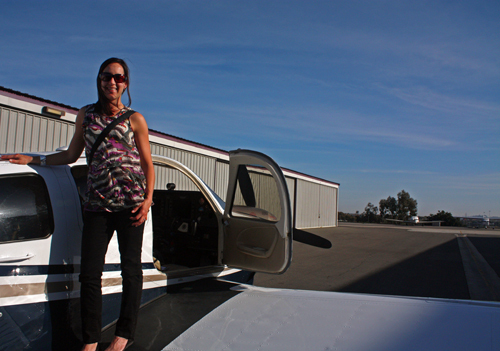 she made it aboard and she seemed to have a great time. By the end she was snoozing with the wind in her hair and the sun on her face. 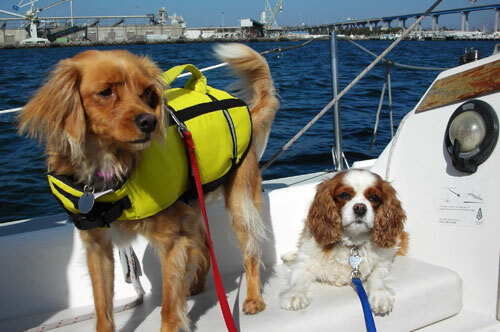 She didn’t like it much when the boat started heeling, actually that always freaks Hayley out too. They had a great time though, as did we. 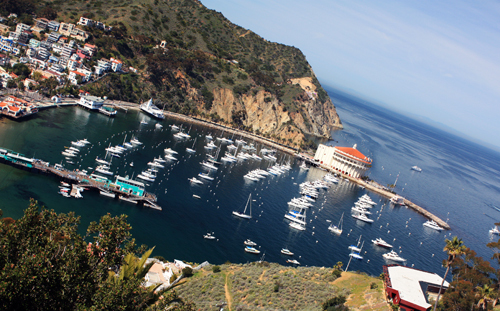 What this photo can’t capture though is the conclusion of our sailing adventure. Usually after an afternoon of sailing we stop at the local fish market and enjoy some Oysters Rockefeller and a glass of wine. But since we had the dogs with us this time, we decided to buy some seafood from the market and make it ourselves at home. We had to make a quick stop at the grocery store too though, for butter and parsley of course! While in the grocery store, for I swear no more than 10 minutes, the dogs were waiting patiently in the car. Well, not so patiently so much as devouring an entire pound of raw shrimp that I accidentally left in the front of the car! Yes, that’s right this cute little face pictured above turned into a carnivrous beast and ripped the bag of raw seafood to shreds, not even so much as a shrimp’s tail was left as evidence. Hardly any of the bag was left either! Now, it was my fault for leaving the seafood unattended in the car. But I honestly had no idea that they would get into the bag, let alone actually eat all of it! The unfair part is that I have no evidence to suggest that Hayley played a part in the sabotage of our dinner. Daphne is quite protective of her food and when we returned to the car Hayley was hiding in the back seat. So it appears Daphne may have acted solo. But we will never know. I seriously wish that dogs could talk to us. I would love to hear Hayley’s side of the story. They are both resting peacefully tonight with full bellies after a day of sailing. Life with dogs is certainly entertaining! I’m trying not to think about what that pound of raw shrimp is doing in Daphne’s belly. I’m going to hope for the best and be thankful it wasn’t chocolate!